Today many people are keen to start own manufacturing business. If you are one of them you are the right place. 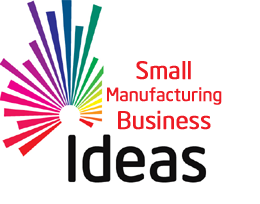 Today, I will share 30 Manufacturing business ideas with low investment. A small manufacturing business can be started at home or small rented location. The cost of equipment or manufacturing machinery required for starting a business is very low. These types of business are expected to give very good returns on capital investment. So, let’s take a look at 30 manufacturing business ideas with low investment. The first manufacturing business idea is textile manufacturing. You can produce a raw fabric or other textile products to sell to individual or business. It is a capital intensive business. This business requires space and machinery. In addition to this, you need to evaluate market before starting this business. Furniture has become an essential part of our life. Office, home, school or any business requires furniture such as chairs, tables, cupboards, beds, wardrobes etc. If you have enough space and if you want to produce large scale products, furniture making idea is for you. You require skill manpower in order to start this business. Candle manufacturing business can be initiated as small scale part time business. Candles are used as decorative items and for religious purpose. Apart from this scented candle is very popular and highly marketable. As per me, candle making is profitable small scale business. Belt making is another small scale manufacturing business that can be started from home. You can involve yourself in mass production of leather related items and sell it to consumer or wholesaler. Make sure to conduct a proper market survey and feasibility study before starting this business. The next manufacturing business idea is related to food. You can become a baker and start your own bread manufacturing business. Another lucrative business idea is biscuit making. You can start your own small home based biscuit making business or you can even establish automatic biscuit making plant. If you are interested in making candy or chocolate you can make your own candy or chocolate and pack them for sale. Ice cream comes in different flavors, colors, and forms. This business can be started at small scale or at large scale. For large scale business, you need to make large investment in plant and machinery. Another manufacturing business idea is honey processing. Honey processing business can be started in two ways either by using manual system or by an automatic system. The process is very simple and it can be started from home. Jam Jelly making business idea requires the availability of raw material such as ripe fruits and other ingredients. This idea can be started with low investment. You can also think of making fast moving consumer good product such as hair oil, cream etc. It is very easy to make hair oil at home. This business does not demand a big investment. However, you need to spend money on marketing of products. The next home based manufacturing business idea is detergent or soap making. The process of making detergent is easy and require less investment. It may sound unusual but generally, women are fond of makeup and they spend a good amount of money on makeup at every occasion. Inspire by this you can think of starting your business for makeup production. Nothing work without electricity and electrical equipment. So, starting an electric fitting business could be a very good business idea. Air freshener is another product for mass production. There is a large market for air freshener and air freshener can be produced either in liquid form, gaseous form or solid forms. Unique and Pleasant smell is important while manufacturing air freshener. The next business in line is Embroidery business. In this business, you need to develop a skill to design new design of embroidery. You can do embroidery by low-end machine or by sophisticated tools. Paper making is another business. Papers and stationary always remain in demand either in education or in the business field. Starting a paper manufacturing business is easy and low cost. One high investment business idea is jewelry making. This business requires a capital investment based on jewelry type. If you are going to produce gold or diamond jewelry you need to invest more money. Pencil and rubber are essential items used by student and teachers. It seems, there is a large market for pencil and rubber. You can plan to start a business related to these items. The market for rubber carpets is indeed a large one; if you open a production factory for this type of business, you are sure going to break even within a short period of time. You need to learn an appropriate skill before starting this business. If you are technically sound you can produce hand tools. This involves manufacturing of hammer, cutter, screw, shapping tools, scissors etc. Another big manufacturing business idea is automotive part manufacturing. This business requires skill, knowledge, and investment for plant and machinery. The boom in real estate market always helps other construction related material such as Ceramic Tiles. This business requires a considerable amount of investment. There is a large market for mobile phone accessories such as earphones, Bluetooth device, casing, batteries, battery chargers and power banks. If you can produce high quality accessories you can even think of exporting it. Handbags come in various size, colors, and shape. In addition to that bags can be customized. The business of bag making can be started with low cost. The space requirement for this business is also less. The next business is fertilizer manufacturing. This business can be started on a small scale. No experience or skills required in order to start this business. Small items such as chalk always remain in demand, especially in education sector. You can study the local market and start your own business as chalk manufacturer. Pots, kettles, fry pans, cutleries and other kitchen utensils are essentials in our homes. There is a large market for a kitchen utensil. So, starting kitchen utensil is a very good business idea. The next business idea is toy making. Toy’s are in various forms, size & colors. Toy’s are also customizable in nature. You can plan this business at the low end and expand at a later stage. Last manufacturing idea is hair band making. This idea is somewhat related to hand plastic bag making which can be started from home also. I hope mentioned 30 manufacturing business ideas has inspired you in starting your own business. Analyze and take appropriate decision to start your own small manufacturing business based on your skill, experience, and knowledge. In case you need any support please do write us in the comment section. All you need is the ingredients and tools, waxes, fragrances, containers, candle wicks, candle dye, measuring cups, spoons, a bowl, and a scale for making candle. You have method to make fertilizer or you are planning to learn. I suggest you to first learn fertilizer making before starting business. There are many types of plastic bags machines available in the market starting from 1.5 Lakh onward. First you find out market demand of plastic bag and based on demand you can think of purchasing machine.